The USB to NMEA adaptor creates a virtual interface where NMEA 0183 data can be received on Windows, Macintosh and Linux PCs, thereby turning your PCs into a navigational charting platform. 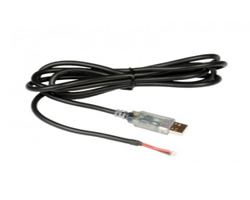 NMEa0183 data is converted into USB format that can be used for standard navigational platforms and supports traditional 4800 baud data as well as the 38400 higher speed baud rate. For your convenience, LED lights will show when data is being received and transmitted and all wiring is encased in a compact adaptor. Multiple adaptors can be used if you wish to create more NMEA ports on your computers.